This 2006 Volkswagon Touareg V8 is a full size luxury SUV with a powerful V8 engine, a beautifully appointed interior with gray leather seats, and ample cargo space. This edition is newly detailed, super clean, extremely sharp, and drives very well. The seats and carpets look terrific. In fact, this SUV is very sharp both inside and out!! 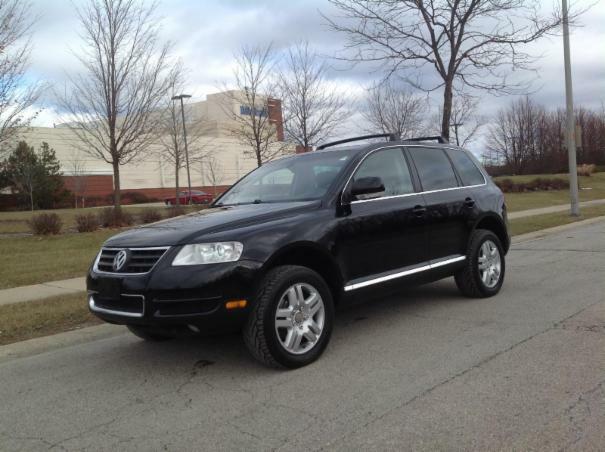 The Touareg has good looks, capable handling, and will provide a quality ride. Options include a sunroof, power seats, windows, mirrors, locks, alloy wheels, General tires, dual climate control, heated seats, dual exhaust, roof rack, rear spoiler, a Pioneer sound system with AM-FM stereo with CD player.